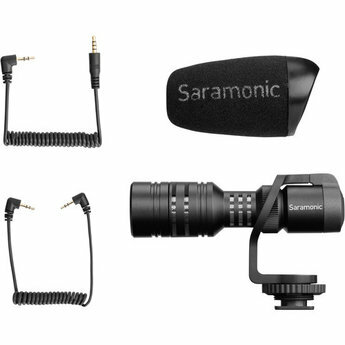 This lightweight shotgun microphone mounts directly to DSLR, mirrorless, and video cameras, or to smartphones and tablets with an adapter (available separately), and yields considerably improved sound compared to the built-in mics on these devices. 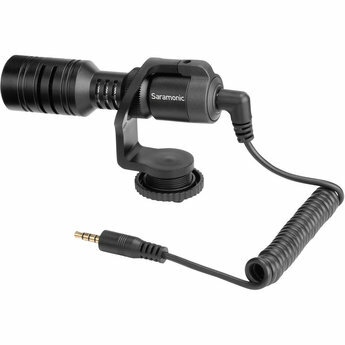 Plug-and-play operation makes it extremely easy to use right out of the box. 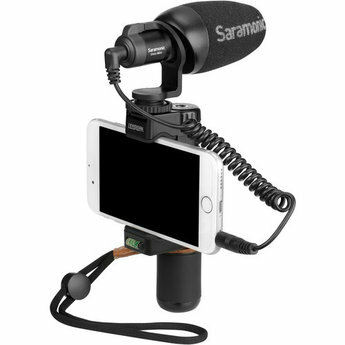 With no batteries to install or charge, and no buttons or switches to operate, you can immediately start recording your YouTube videos, Facebook Live streams, and interviews, at home or on the go. 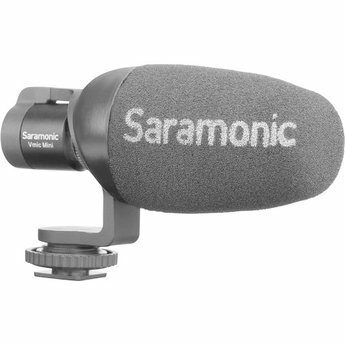 Note: The microphone has a 3.5mm plug compatible with smartphones and tablets equipped with a headphone jack.